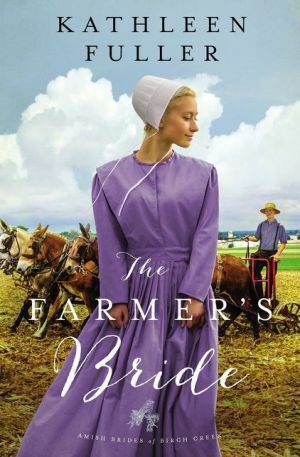 Bestselling and award-winning author Kathleen Fuller returns to the Amish community of Birch Creek in this charming tale of falling in love while pursuing the dreams of your heart. Having grown up in poverty, Seth Yoder refuses to be financially insecure again. His passion is woodcarving, but he’s vowed to work on his father’s successful farm, even though his heart is in his craft. Splitting his time between farming and his secret hobby keeps him busy—too busy for social activities. Martha Detweiler has a different problem—she’s the only single woman in a community full of young men, and they’re all competing for her favor. All of them . . . except Seth Yoder. Overwhelmed by the unwanted attention, she finds herself constantly fleeing from them, and that isn’t the way she wants to live her life. When Cevilla Schlabach, Birch Creek’s resident matchmaker, hears of Martha’s predicament, she believes she has the answer—convince Seth to give the impression that he and Martha are dating. Both Martha and Seth think this is a terrible idea, but Cevilla doesn’t let go of something once she gets it in her head. And when Delilah Stoll, a new resident of Birch Creek, eyes Seth as the perfect man for her granddaughter, Nina, Cevilla digs in her heels. Can Seth and Martha convince their family and friends to leave them alone? Or will their struggles against a community that seems to have decided both their fates bring them closer together?